A Guide to Using Emotional Release in your Everyday Life. If you have been suffering from mental health conditions, from anxiety to depression to post-traumatic stress, you have no doubt been researching many different treatment options to try and overcome the challenging associated symptoms. If you go to your doctor’s surgery, they will typically suggest taking some type of anti-depressant. In many cases, this will help the sufferer manage how they are feeling but at a superficial level. However, it can often mask the root of the problems. In order to really dig deep and find the true cause of the problem in order to fix the issues, many people seek out natural methods of support such as counselling, emotional integration therapy or cognitive behavioural therapy (CBT). Another option that you might want to consider is MER, which stands for ‘Mental and Emotional Release Therapy’. MER is a clinically-researched approach that aims to help you release anxiety, stress, fear and any other negative emotions. 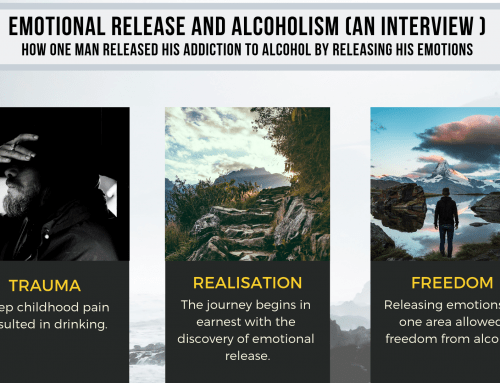 It is about helping you when it comes to releasing trapped emotions, healing emotional pain, releasing negative emotions and letting go of grief, like an emotional detox for clearing negative emotions. It can also be used to help overcome procrastination and phobias. It is widely seen as a quick but long-lasting therapeutic method of bringing about change for the individual. It taps into the internal memory storage system, seeking out change on a subconscious level. You will be able to release a series of ‘inappropriate’ behaviours and thoughts that have been programmed into your brain and release the effects of previous negative experiences. It helps you to gain emotional control over your life, dealing with feelings like bursts of anger, sadness, apathy, anxiety, depression or chronic fear. Managing your breathing can play a huge part in how you feel; often people who experience fear or anxiety will breathe fast and heavy, hyperventilating without necessarily realising it. It will lead to panicked thoughts, tingling fingers, tightness in the chest, feelings of stress and other associated symptoms. When releasing stuck emotions, breathwork is a crucial aspect to consider. Some emotional release practitioners teach their clients about breath work as a healing practice to help them access self-love. There are a variety of ways to use breathing as part of emotional clearing therapy. A simple method is for clients to lie on the ground with their back flat on the floor. If you are lying on a comfortable mat, this will help you focus. You will then need to start taking long, slow inhalations and exhalations, breathing gently through your nose and into your heart. Try breathing this way for five to 10 minutes, or longer, and start to pay attention to whatever emotions start to rise to the surface. Allow them to be there as they are – don’t hold anything in. If you want to cry allow this emotion to come up, let yourself release these emotions. It’s what they want to do. When practising breathwork, you should seek to breathe consciously being aware of every aspect of the breath. Normally we breathe automatically, and often this isn’t deep. Through observing your breathing carefully, this will help you to access deeper layers of suppressed, intense emotion and trapped energy. Breathing therapy is often referred to as ‘re-birthing’. It can cause changes in a person’s posture, well-being and appearance. Meditation is a valuable part of emotional release counselling. When we are meditating, it is possible to experience our thoughts and emotions in a calm, peaceful setting – and to pay attention to what we are truly feeling. Experiencing emotions whilst meditating is very common and can leader to deep breakthroughs in understanding. Meditation can also play a key part in providing balance and equilibrium to our lives. It should be supported by other areas, such as eating a good diet, exercising consistently, and sleeping for at least eight hours per night where possible. When meditating, you should be sat up straight on a comfortable floor or seat. Find a relaxed position and close your eyes. You should focus on your breathing, incorporating the deep breaths of breathwork or using a mantra. Then, to integrate emotional release in your meditation, you should start to think back to upsetting circumstances in your past. This may be a traumatic time in childhood, an argument you had recently, or something negative that has happened at work. It should be a time in which you felt emotionally upset. They key is to get in touch with how you really feel about the event. It is to be honest and sincere. For the couple of minutes, start to think about the incident in detail. Picture what happened in as much clarity as you can. Be an observer of the event, witnessing what happened to you. Then identify how you are feeling, and put words together for how it made you feel. Give the way you’re feeling a name that summarises the experience. It is not always necessary but at the beginning it helps. Put some focus on that word. Then gradually move away from it, and start paying attention to how you are feeling overall. What physical sensations have arisen through identifying this emotion? Look at what feelings the memory brings up – this might be a tightness in the chest or a feeling of pressure in the throat. Hold this feeling and be present with it. You may then feel the need to express the feeling. Place your hand where you can feel the hurt or sensations, and say out loud “This is where it hurts”. Move your hand to different locations, trying to regain the balance in your body. You may also find it helps to write your feelings down to help express painful experiences. Which way you choose be honest and truthful. Next, you need to take responsibility for your feelings and gain control over them. You are not blaming others for how you feel; instead, know that you are capable of making your feelings melt away. Once you have that feeling, start focussing on releasing the emotion. Hold the place that hurts in your body, and, with each breath exhalation, start to focus on the painful sensation leaving your body. Finally, you should imagine sharing the outcome of this release with the source of the pain. What would you now choose to say to them, given that you have gained control over how you feel and taken responsibility for it? You should be able to share how you feel without blaming them or seeking approval. You can then celebrate this experience because you have used a painful moment and turned it into a spiritual transformation. Your dreams are a great time for anger release as much of your feelings and frustrations are played out by your subconscious. It is a very natural way of your body performing emotional clearing. When dreaming, allow yourself to feel the emotions that come through. These are raw expressions of your inner mind and will be where the answers to your emotional release can be found. You will dream in symbols, so you need to think about what emotions you attach to each symbol. These are the tools you can work with. Rather than ignoring them, it is important to wake up to what messages you’re getting. Again, it is about taking responsibility for these suppressed feelings and paying attention to the parts of you that are demanding attention. Consider what emotions you associate with each person or location in your dream – what reactions do they bring out of you? Through meditation, you should be able to figure out what your dream is trying to tell you. In finding the resolution to your dreams, you will be able to release the associated emotions and find a sense of healing. Music can play a big part in emotional release because, as we all know from our experiences with it, music evokes many emotions depending on the tempo, instruments, general sounds, and associations. From happy and bouncy to sad and melancholic, we often use music for emotional release without realising it. Listening to music can help us manage our stress and emotions. A study from the University of Gothenburg found that those who listen to music after they had experienced a stressful episode in their life saw their stress levels decrease compared with those who didn’t listen to music. Another study also found that music can effectively reduce our cortisol levels over the long-term. This is the hormone that is typically released during moments of stress. There are many ways in which music can be used in emotional release to help us manage our emotions. It can be used to help lift our mood or evoke positive emotions, for relaxing and finding a sense of peace, as a way of releasing negative emotions (such as anger), as a way of stimulating our senses, in order to seek out new ideas in our mind, or as a way of finding comfort after a sad event. The type of music we respond well to depends on our taste in music, but often heavy rock can be seen as helpful in discharging emotions and soft pan-pipes may be used to helping with relaxation. Research has discovered that the effects are strongest when people choose music to their own taste. While listening to music, it is important to think about what emotions are coming to the surface and how you feel. You might want to manage them in the same way as if you were meditating – playing witness to the traumatic event, thinking about how the emotions make you feel physically, identifying these points and communicating this to yourself, taking responsibility for the emotions, and then releasing these emotions and finding a sense of closure. Exercise has many associations with helping to improve symptoms of anxiety and depression and is largely seen as a great way of managing emotions. From running long distance to playing football matches, it can act as an effective stress reducer. Sport is known to give off chemicals in the brain known as endorphins, which create positive feelings and help to reduce feelings of anxiety. It also helps to increase your body temperature, which is thought to have calming effects emotionally. When it comes to emotional release, sport can help you to unwind. This can enable you to release the tension you may be holding onto and find a way of connecting with whatever is bothering you. The positive emotions of playing a sport can help to boost your energy levels and self-esteem. However, caution should be taken when playing sports competitively, as sports can increase stress if too much pressure is placed on winning. This can sometimes increase negative feelings if it doesn’t go your way. After engaging in exercise, which will have added positive chemicals to your brain and help you unwind from whatever is making you feel upset or tense, it is great to combine this with other types of emotional release therapy, such as listening to music that further helps you engage with your emotions, or meditating and finding a place of calm with how you feel. Combining all these methods of emotional release together can help you get the most positive outcome.